It’s quick, it’s easy, it’s… peanut-butter jelly!!! This will definitely be kid approved too. If peanut-butter is not your thing, simply replace with almond or cashew butter. Smoothies are fantastic, they are the easiest and sneakiest way to get us to consume our vegetables and fruits. Enjoy this for breakfast, post-workout, snack time, or a treat after dinner. 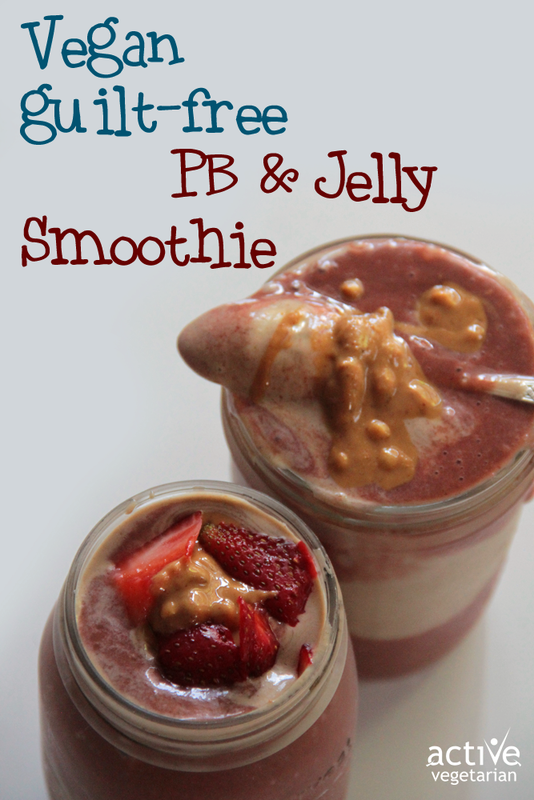 Healthy Peanut Butter and Jelly Smoothie recipe — made with real wholesome ingredients. 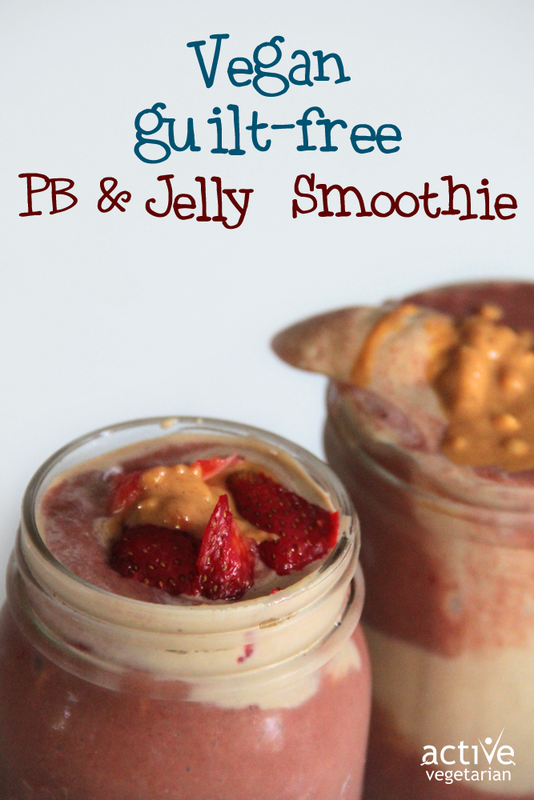 It’s decadent, rich, sweet and creamy, yet refined sugar free,high protein, and gluten free! 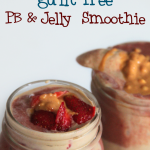 Blend the peanut butter mixture ingredients until smooth and creamy in a high speed blender or food processor. Place into a bowl and store in the freezer wile preparing the jelly layer. Blend the jelly mixture ingredients until smooth and creamy. Layer in glasses. You can mix all of this together if you don’t care to layer. Stick a cool straw or spoon in the smoothie glass and enjoy!